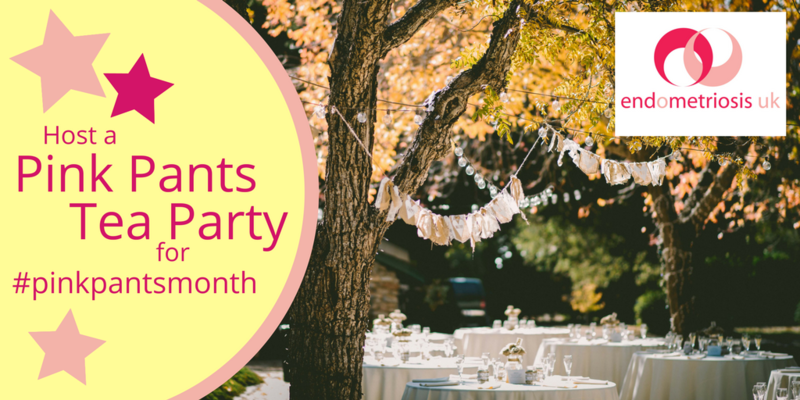 This September, get your friends together and host your own Pink Pants Tea Party to raise funds and awareness for Endometriosis UK! September is Pink Pants Month and we are hoping you will register to host your own Pink Pants Tea Party! All you need to do is register your party with us to receive your free party fundraising pack. You can host your party on any day throughout September and absolutely anywhere, your own home, the park, a village hall, anywhere! Our pack includes recipes generously donated by gluten free bakers. So get your friends together, eat some cake and raise some money for Endometriosis UK.